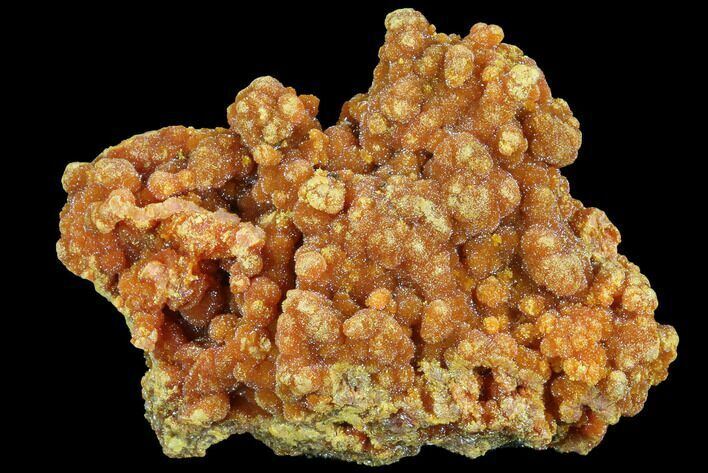 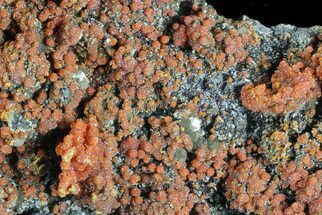 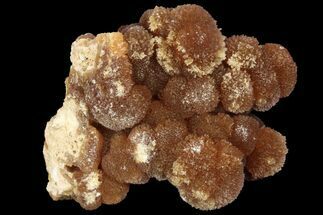 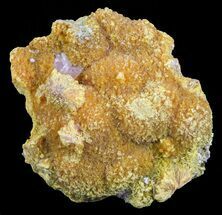 This is a beautiful specimen of red-orange orpiment that formed in botryoidal masses, collected from Peru. 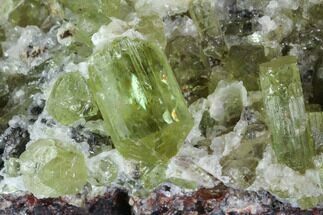 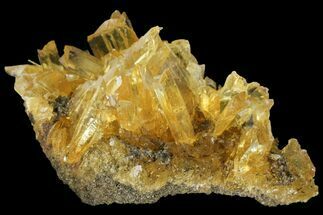 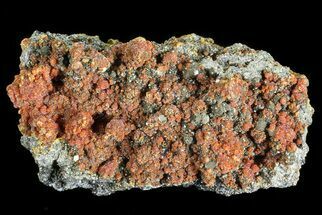 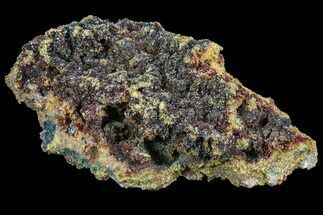 The orpiment has a rich red and orange coloration, and formed from a pyrite-rich matrix. 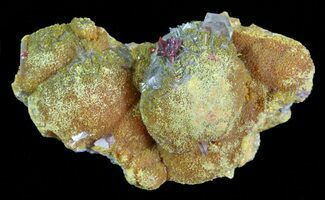 Large, partial pyrite crystals can actually be found on the underside of the specimen.